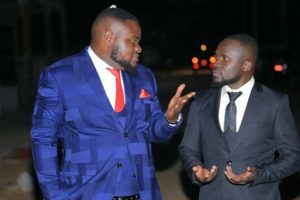 Uganda’s best comedy duo, Madrat & Chiko are back with season two of their Nseko Buseko comedy show bigger and better. 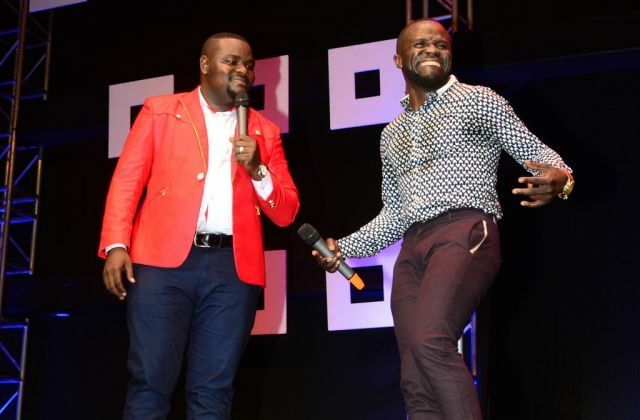 The comedy duo has revealed that they are shifting the show to a bigger venue where they vowed to put up an entertaining and clean performance suitable for all audiences. This was during a press conference held at Imperial Royale Hotel on Monday. “Many of our fans missed out during the first edition of ‘Nseko Buseko’ because they turned up in big numbers beyond the capacity the venue could accommodate and were locked out. We have decided to now move to Imperial Royale Hotel which has a bigger space and can accommodate more people.” Madrat & Chiko said. “This edition will be a VIP show and we encourage our fans to bring along all their family because we will be staging an entertaining and clean show suitable for all audiences.” Chiko also noted. The “Nseko Buseko” comedy show is slated for July 27. It will be followed by subsequent shows at Satelite Beach, Mukono on July 28 and then Tarvan Woods, Kabusu on July 29.